Happy Friday everybody! With today being the last full day of school (we have half days with the students next week due to final exams, then one last teacher workday the following Monday), summer vacation is on my mind. I cannot wait for an extended break from work. This summer is going to be a very exciting summer! Preston and I have lots on our calendar, and a lot of exciting events and activities to look forward to. 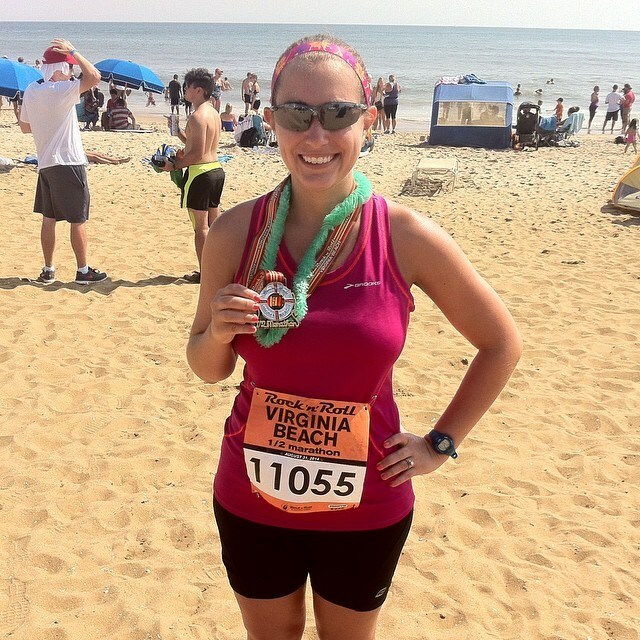 Interested in joining me for RnRVB, or interested in running another Rock ‘n’ Roll race this year? 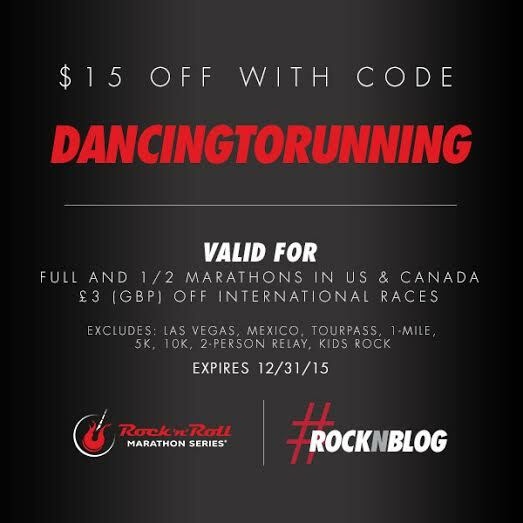 Be sure to use code DANCINGTORUNNING to save $15 on your registration (exclusions apply). 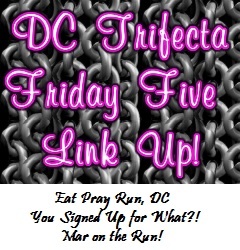 This entry was posted in Miscellaneous and tagged Fit Foodie 5k, Friday Five, Rock 'n' Roll Virginia Beach. Bookmark the permalink. Ahhhh… Summer vacations. And you’ve picked a great spot to do it! St. Pete beach is a great beach. We love our gulf coast! Any big plans while you’re here? or do you plan to stay poolside the whole time? You have an awesome summer lined up! I am bummed to miss the fit foodie event again. I will be in Hawaii so not too bummed 🙂 Looks like a fun summer. I’m a bit jealous that you’ll be in Hawaii. Have a great time! I’m hoping to continue hitting 5k on my treadmill runs and build up to the fall season. I can’t wait to spend time at the beach either. Sounds like you’ve got a lot of fun summer plans! Have fun!!!! Love all of those places! I can’t wait to get back to Seattle. We took a week there (2 days in Seattle, 2 days in the Columbia Gorge for winery tours, 3 days in the Olympic Peninsula) and had a blast! Enjoy! Thanks! 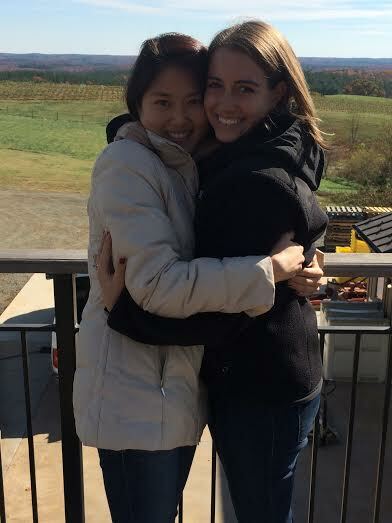 I’m a bit bummed that we can’t spend more than 4 nights there, but we’ll definitely make the best of our time there. I wish I could do that FitFoodie weekend! If it would ever stop raining and warm up here, I’d love to get back in my kayak. And I need to waterski! Sounds like an exciting summer for you! I have been to the RNR VB for the last three years but sadly I cannot make it this year, have fun! I am looking forward to moving – ok, looking forward to and dreading all the packing at the same time! Some concerts and visiting my family. Moving is never any fun, but I hope it goes as seamlessly as it can. Enjoy your Fit Foodie weekend. I was bummed I couldn’t participate again this weekend, but I’ve got Ragnar Trail in WV next weekend. It should be lots of fun, too! Have fun in Seattle! July sounds like a great time to visit. Have fun at Ragnar next weekend! I’ll be sure to share it all in my recap. I hope you have a blast! Lots of travel, sounds like a wonderful summer! You have a lot to look forward to this summer. We’re going on a family trip to Chicago (can’t wait!) and I’m going back to LA for IDEA World Fitness and blogfest. Woohoo! Have fun in Chicago! There’s so many fun things to do there. woohoo – see you next weekend! Looks like a lot of fun! We have two family vacations coming up, one in June and one in August which will be lots of fun with cousin and extended family! Family vacations are always so much fun! Have a blast on your beach trips!